Founder Tim Westergren has stated that the service is approaching a "pull-the-plug kind of decision" for the service. Why is this happening? Last year, web radio giants were hit with outrageously ridiculous fees by a federal panel for every song that would be played on their stations. This caused a lot of services to either shutdown, or go through what Pandora has been experiencing for the past year. In doing so, it seems the financial problems the music industry has set out to create in order to win the constant battle between rights, piracy, and copyrighted music, are working. Pandora's founder is waiting for a ray of light in a fight being led by Rep. Howard L. Berman (D-Calif.). Berman is attempting to arrange a few last-minute deals between web radio stations and SoundExchange, the organization that represents artists and record companies that would reduce the the recent fees. However, Westergren isn't going to hold his breath for too long, stating that, "The moment we think this problem in Washington is not going to get solved, we have to pull the plug because all we're doing is wasting money." We don't blame you Tim. There are plenty of petitions floating around the web to help the cause, but the law is the law and petitions may not help matters in this situation. 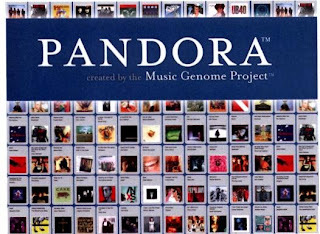 We'd be saddened to see Pandora close its doors. While services like Last.FM aren't showing any of the same signs, we wonder if the same fate may be in the not-so-distant future for our other favorite music services. If it is, what will you do?